Well, it looks like everybody is moving into improving their own OS. There's Microsoft Windows Phone 7 Series, then Nokia's S^3 and now, Research in Motion with their OS 6.0. 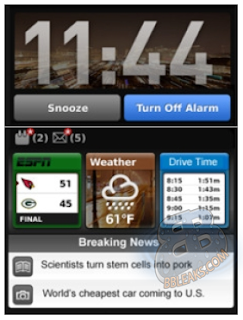 The leaked screenshots from BBLeaks shows what could be the first images of RIM's new Blackberry OS 6.0. 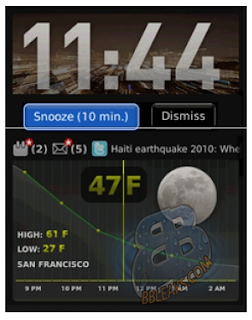 From what we can see, RIM is making use of more widgets, possibly to be more competitive with the likes of Android, Symbian, and Maemo. Well, at least RIM's being competitive. I wonder what Apple's up to? If competitors such as Microsoft, Nokia and RIM are releasing better OS, not to mention Samsung with their own BADA OS, they have to release something incredible (hopefully a new iPhone) come June, right? Let's cross our fingers and hope.